This user comes from Iran. fa This user speaks Farsi - اين كاربر فارسي زبان است. 4.7.1 How Cost centers are implemented in Adempiere? How Cost centers are implemented in Adempiere? sf.net post Adempiere support cost center using organization setup( have a look at the organization and organization type setup). Also, the transact organization element could be turned on in accounting schema to handle this. 'AND' means all the transitions are executed. 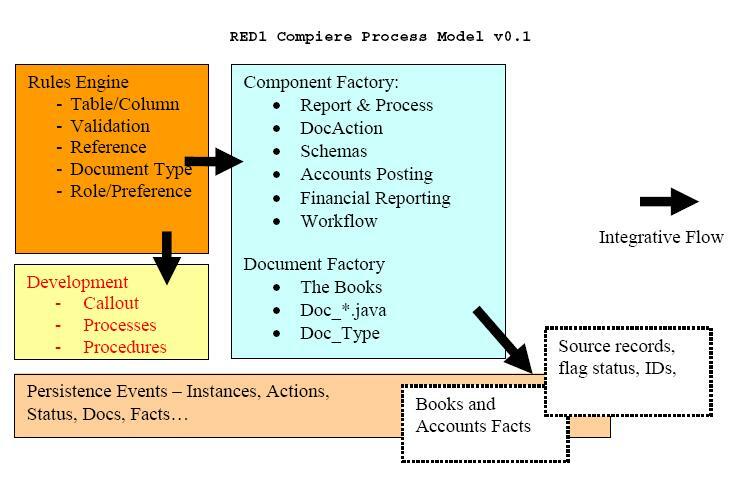 this node will ONLY be executed if the Action is 'COMPLETE', and some other conditions which are still undefined in this document. (This has been determined from the source code). OpenSwing is a components library that provides a rich set of advanced graphics components for developing desktop applications and HTTP based java applications/RIAs based on Swing front-end. This project allows access to USB devices from Java. It was created under the JCP process and is assigned JSR 080. The official Java package name is 'javax.usb'. This application was developed in a few months thanks to Openswing capabilities: this is a development framework that allows to create RIAs with a GUI having very complex contents with low development time. This page was last modified on 3 October 2012, at 05:56.